Jones Library, 43 Amity St., Amherst , MA 01002, on May 4, 2019, at 11:30 a.m. $65.00, includes all training materials and certificates. Godavari Framingham Restaurant, 1656 Worcester Rd, Framingham, MA 01702 (Boston area), on April 26, 2019, at 5:30 p.m. $65.00, includes all training materials and certificates. Leominster Public Library, 30 West St, Leominster, MA 01453 (Fitchburg / Leominster area), on May 21, 2019, at 7:00 p.m. $65.00, includes all training materials and certificates. Save Each Life, 332 Deerfield St, Greenfield, MA 01301, on April 25, 2019, (morning class) at 10:00 a.m., $65.00, includes all training materials and certificates. Save Each Life, 332 Deerfield St, Greenfield, MA 01301, on April 25, 2019, (evening class) at 6:30 p.m., $65.00, includes all training materials and certificates. Nonotuck Community School, 221 Riverside Drive, Florence, MA 01062 (Northampton area), on April 20, 2019, at 10:00 a.m. $65.00, includes all training materials and certificates. Hilton Garden Inn Pittsfield, 1032 South St., Pittsfield MA 01201, on June 1, 2019, at 10:00 a.m. $65.00, includes all training materials and certificates. LaQuinta Inns, 100 Congress St., Springfield MA 01104, on May 25, 2019, at 10:00 a.m. $65.00, includes all training materials and certificates. Sterling Senior Center, 36 Muddy Pond Rd, Sterling, MA 01564 (Worcester area), on April 27, 2019, at 10:00 a.m. $65.00, includes all training materials and certificates. Ideal for the teachers, daycare and preschool personnel (and people who want to open a daycare at home), first time parents, Sunday School teachers, babysitters and anyone working with children, this course is designed to teach in more details the caring for the little ones. The Pediatric First Aid teaches you how to help in emergency situations specific to children, and the included DVD is different from the Adult First Aid. 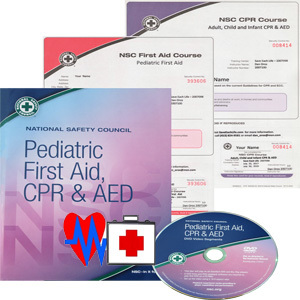 You will receive: a workbook, a DVD (or link to download) with the video presented in class, a Pediatric First Aid Certificate, and a CPR/AED for Adult+Child+Infant valid two years. Of course, training on choking is always included. You will learn how to take action in an emergency, how to administer CPR (cardiopulmonary resuscitation), and how to use an automated external defibrillator (AED). The course meets the latest (2015) CPR and ECC Guidelines established by ILCOR and published in USA by the American Heart Association. Money Back Guaranteed. Prices subject to change. Register by selecting “Pay Now“. Did you know? You can be certified at your own location, at your preferred day and time, so that you don’t need to pay a babysitter, or drive to our locations. Click here to register – or call us for more information – (413) 824-9581.